BMW X3's innovative and functional design comes equipped with a generous list of features and equipment. 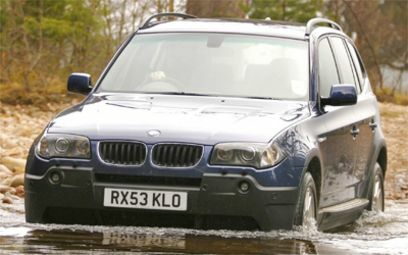 The BMW X3 2.5si offers a versatile on-off road design that stimulates both the refined and the thrill seeking driver. With a 2.5 litre 24 valve in-line 6-cylinder petrol engine that delivers 160kW of power and accelerates from 0-100km/h in just 8.5 seconds it will definitely get your heart pumping. The BMW X3 2.5si can be whisked along the open road or eased around obstacles off-road, using an exceptional 6-speed automatic transmission. The automatic transmission boasts leading edge Steptronic and Adaptive features.